The scheme aims to attract projects that will better address the changing demands of the future forest industry in the state, providing long-term, low-interest loans up to $3 million for successful applications. 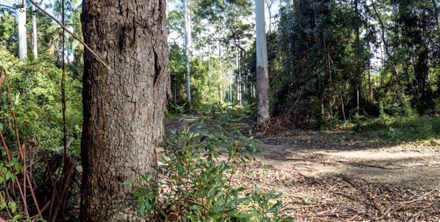 NSW Department of Primary Industries (DPI) Group Director Forestry Policy, Research & Development Nick Milham said the scheme delivers on the government’s Forestry Industry Roadmap. “We’re pleased to have launched the initiative this week, which will drive improved profitability and innovation across the sector,” he said. “The loans can be accessed for up to 100% of the cost of a range of projects, meaning that quite substantial projects can be fully funded, but that even larger projects may also be supported. Mr Milham said the scheme was designed and developed with strong guidance provided by stakeholders and industry. “The NSW Forest Industries Taskforce, which has broad membership from across the forestry and forest products sectors, has encouraged the NSW Government to consider measures that could be taken to assist the industry to address challenges and take advantage of emerging industry growth opportunities,” he said. $4.6 million to support training and accreditation for forestry contractors. The Forest Industries Innovation Fund will be administered by the NSW Rural Assistance Authority under guidelines developed by the Department of Primary Industries (DPI) – Forestry.